If you’re not building an email list, you’re missing out on a key tool to grow your business. Email marketing is one of the most effective marketing tactics – but is often underutilized. Many business owners don’t know how to build an email list, so they simply move forward without one (or they let an existing list grow stale). Here’s the problem. Each day that you’re not building an email list is a missed opportunity to grow your client base and increase your income. Marketing is all about cultivating relationships and offering value. Yes, you can offer value through social media posts, blogs, etc. but those only go so far. Email allows you to stay top-of-mind so that when your audience needs your services or products, you’re the first one they call. How do you go about building an email list? Here are six steps I took to double my email list in just one month. Step #1 – Clean up your list. An email marketing campaign is only as good as your list. 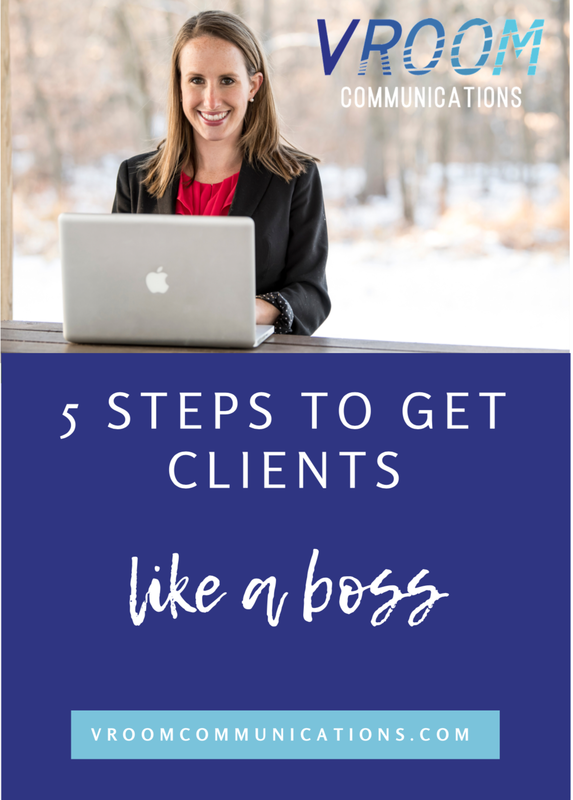 If you don’t have a list of potential clients or customers, or you have a list that’s outdated and disorganized, that’s the first place to start. Get your list in order BEFORE launching an email marketing campaign. Trust me on this. Emailing an old list is like giving a speech with no one in the room. A huge waste of time. Step #2 – Offer something of value that your audience needs. It’s not enough to ask people to subscribe to your email list. When people hear the words “subscribe” and “email list”, they immediately think spam. Instead, you want to create something of value that your audience actually wants and needs (otherwise known as a lead magnet). Once you know your audience, think about what will solve their problem. Is it an eBook guide to help them learn a new tool? Is it a webinar to help them develop a strategy to grow their business? Is it a challenge to help them accomplish something specific in a set number of days? There are a variety of tools you can offer to grow your list. Focus on what works for your audience - not what other business owners are doing. In the end, I went with the free challenge. I created the Know Your TARGET challenge, which helps business owners find their audience and get inside their heads so they can market more effectively. I knew a challenge would be interactive and allow me to showcase my expertise in a more personal manner. Don’t know what your audience wants? Ask! Survey previous or current clients/customers. Do some “professional stalking” online (check out my Know Your TARGET challenge for more ideas). Step #3 – Structure your offer. Figure out what the lead magnet will entail and how you’re going to deliver it to your audience. Via download or video? In a private Facebook group? For example, I decided my challenge would run for five days and would take place in a private Facebook group. That way I could cultivate a community and share the information through live video so people could engage in real-time. There’s no right way to structure a lead magnet. Again, it’s all about what makes sense for your audience. If you reach an older audience, you may want to consider delivering your lead magnet via download instead of an online group. If your audience is younger and prefers video, then use live video on Facebook or Instagram. Choose a vehicle or platform that your audience actually uses and will best convey your information. Step #4 – Create a compelling landing page. Don’t cut corners just because you’re giving away something for free. You still need to create a landing page (or sales page) that promotes your lead magnet and talks about how it will benefit your audience. People are more reluctant than ever to hand over their email address. That means you need to answer the question “what’s in it for me?”. Show your audience WHY they need your free resource and they will be much more likely to give you their email. It’s also worth noting that your landing page should be visually appealing and easy to navigate (I used Leadpages to create my page for the Know Your TARGET challenge). Step #5 – Promote your lead magnet. This seems like a no-brainer, but you’d be surprised how many people create a free resource, post it on their website and then leave it untouched. Spread the word online and off. Tell people what you’re offering and how it’s going to change their lives. I’m active in a variety of Facebook groups for business owners, so it made sense for me to promote my free challenge there. Over the course of four weeks, I shared information about the challenge in three different Facebook groups. I did this in a variety of ways (none of which involved spamming the fellow group members). For example, I answered questions that directly related to my challenge and included a link to the challenge in my response. If the group didn’t allow links, I told the person about my challenge and offered to send them a link to sign up if they were interested (most were). I only targeted posts that were about the topic of my challenge (I used the search function to find these posts). Most Facebook groups allow you to promote free resources on specific days and within certain posts. In those cases, I shared a link to my challenge directly. I also responded to anyone requesting help or support in finding their target audience (which my challenge is focused on). I didn’t send them the link first – instead, I answered their question and then offered a link to the challenge as supplemental support. Others with the same question saw my response and joined the challenge too. Step #6 – Ask your network to help spread the word. When I launched my free challenge, I sent a personal note to each person in my network asking if they could share the information with anyone they thought might be interested. Some even posted about my challenge on social media, which helped expand my audience. You never know who will be interested in what you have to offer, so be sure and tell your peers what you’re up to. It’s also a great way to stay top-of-mind for when they have a client or customer to refer to you! I set aside one month to promote my free challenge. My initial goal was 25 signups. This was extremely conservative and when I blew past that goal in the first week, my business coach encouraged me to double it. Halfway through the month, I hit 50 sign ups and my coach told me to double it AGAIN. She kept pushing me and with that goal in mind, I hit 100 signups at the end of the month (actually, it was 104). I had just doubled my email list…in one month. Why was this approach successful? It was successful because it was targeted. I created something I knew my audience needed (based on my research) and delivered it in a unique manner. I offered the challenge to people I knew would be interested vs. trying to push it out to everyone. I also set a specific signup goal, which made me work harder (and smarter). Even if you don’t plan to launch an email marketing campaign anytime soon, start building your list now. A list of engaged prospects is a valuable tool for any business owner. You never know when business will change direction. A strong email list will help you stay prepared for whatever comes your way. Your turn to share: what tactics have you used to grow your email list? Were they successful? Why/why not?